Imagine your body like a house and its energy system as the electricity. When the wiring is blocked, energy can’t transfer, and the house lacks power. It may still look beautiful on the outside, but the lights won’t shine on the inside. Your chakra system works in the same way. We are all made of energy, and our chakras are doorways through which energy flows. This is where we collect and absorb the energies within and outside of ourselves, as your chakras also connect you to Earth and Spirit. When your chakras are aligned, you feel balanced, enlightened, and happier. How can I raise my energetic frequency? There are many ways you can activate your chakras – with herbs and oils, yoga and meditation, and my favorite of all: crystal magic. Energetic activation applies to all energies, even those in crystals and gemstones. Every chakra has its own unique color, reflective of the colors of the rainbow. And every stone has its own healing color, quality, and vibration. When you use crystal magic to activate your chakras, you amplify your intentions, attune your frequency to that of the crystal, and restore balance. When your chakras are aligned and fully activated, your intuition works in unison with your body and emotions to achieve balance, contentment, and happiness in your daily life. When your Earth Star Chakra is balanced, you will feel connected to Gaia’s ancient wisdom, and the energy that surrounds us – from the ties to the bones of your ancestors, to the spirits that live in every part of nature, and the collective consciousness of humanity. To align the Earth Star Chakra, I recommend using black kyanite, red jasper, or petrified wood. Black kyanite is a talisman of protection, energetic clearing, grounding, and spirit guide connection. This gem will dispel of any energies that do not align with your Highest Good and replace them with usable White Light. Red jasper is the stone of controlled passion, bringing erratic emotions into balance and strengthening your stamina. This stone aids in finding a grounding peace that heals and restores. Petrified wood is grounding and protective, said to calm nerves, quell fears, and instill courage. This stone is commonly used for shamanic journeys and etheric contact with elders. When your Root Chakra is active and healthy, you walk with more confidence knowing you are seen and supported. To align the Root Chakra, I recommend using black tourmaline, onyx, or red aventurine. Black tourmaline is a talisman of protection, grounding, and creation of safe space. This gemstone prevents theft and crime, and creates a protective shield around people and places. Onyx is a stone of inner strength, persistence, willpower, concentration, and positive thinking. It keeps you focused, re-aligning perceptions, emotions, actions, and thoughts to become a master of self. 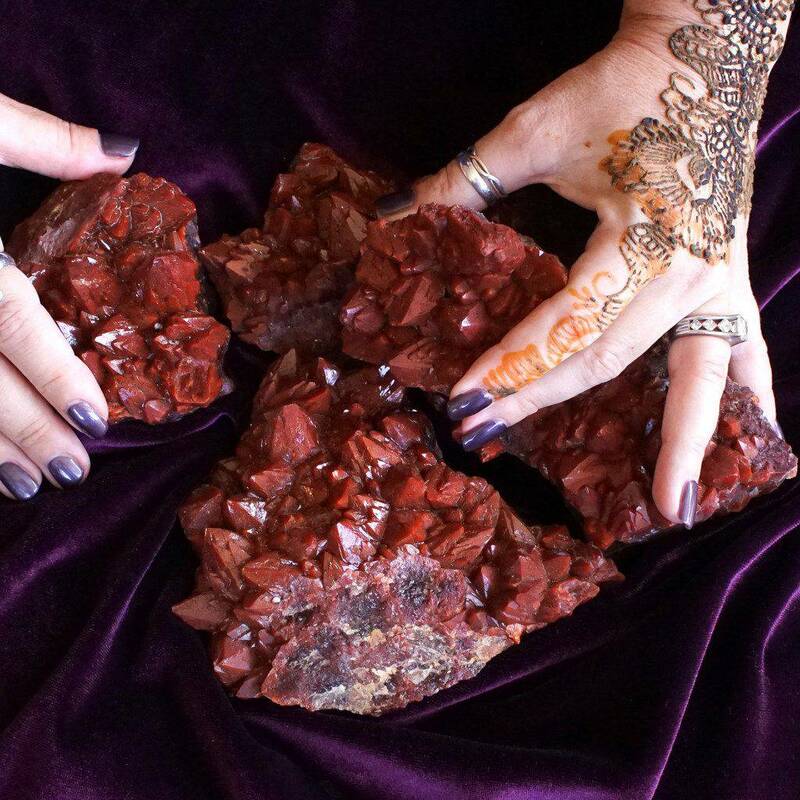 Red aventurine increases circulation, detoxifies negative energy, and facilitates a deeper connection to Source energy. When your Sacral Chakra is balanced, you feel vivacious and inspired; empowered and filled with desire, which, in turn, makes you more desirable to others. To align the Sacral Chakra, I recommend using carnelian, imperial topaz, or shiva lingam. Carnelian is a stone of fire, creativity, passion, sexual energy, and stamina. It brings gifts of energy, courage, and enthusiasm. Carnelian will give you the boost of motivation you need to see projects through to completion and manifest your dreams. Imperial topaz is a stone of strength and power. It supports visualization, manifestation, creativity, and generosity, and in turn, attracts abundance into your life. This stone synchronizes thought and action with intention, to assist in manifesting your desires and goals. Shiva lingam is one of the most powerful gems for activating sexual energy and attracting your Anam Cara, Twin Flame, or soulmate. This gem will unite the feminine and masculine energies within you and ignite love, fertility, and passion. When your Solar Plexus Chakra is active and balanced, you move forward in the right direction, using your own wisdom and skills to bring your dreams to life. To align the Solar Plexus Chakra, I recommend using amber, tiger’s eye, or pyrite. Amber brings clarity and a renewed perspective. and aids in developing psychic abilities as it assists in channeling ancient wisdom. Amber also surrounds you with an energetic light shield to make you feel safe and held. Tiger’s eye is the great protector and bringer of wisdom. This stone helps you strategize, plan, and prepare for change in your life. It is the stone of the goddess Athena and helps you feel powerful and courageous. Pyrite is a stone of abundance, self-worth, manifestation, vitality, and willpower. This stone brings increased confidence and strength, as well as emotional reassurance. When your Heart Chakra is balanced you will experience compassion, happiness, and love, not only for others but for yourself as well. To align the Heart Chakra, I recommend using pink tourmaline, rose quartz, or girasol. Pink tourmaline is an embodiment of the Divine Feminine. Pink tourmaline heals the heart like no other. It promotes wellness and abundance, openness to love, stress relief, and ease through transition. Rose quartz is the stone of Universal Love energy – love for self and others – representing the bond that transcends time and space. It draws love, brings peace during transition, and eases heartache. Girasol brings peace and tranquility, patience in love, and gentle vibrations for easing trauma and stress. It brings renewal energies, enhances and clarifies feelings, and helps you look deep within yourself. When your Throat Chakra is balanced, you are able to transform your thoughts and ideas into words freely and authentically. To align the Throat Chakra, I recommend using amazonite, angelite, or turquoise. Amazonite is the stone for heartfelt communication and clarity. It boosts confidence, allowing you to speak clearly and authentically. Amazonite also absorbs and transmutes geomagnetic stress. Angelite acts as a channel to our angelic guides. It helps you to speak freely and from a place of tranquility. Being the stone of celestial beings, angelite brings peaceful energies into your space and promotes unconditional love. Turquoise is the stone of healing and authenticity, finding your sacred voice, and following spirit. Known as the soul strengthener, turquoise brings wisdom and protection. When your Third Eye Chakra is balanced, you trust your intuition and are able to see the world in its full, majestic vibrance. To align the Third Eye Chakra, I recommend using azurite, labradorite, or lapis lazuli. Azurite is an exceptionally powerful stone for facilitating psychic capabilities. This stone stimulates both intellectual and intuitive powers, and aids in the retention of new information. Labradorite is a stone of transformation and possibility. This gem is a talisman of the New Moon and will put power behind your intentions. Like the Hermit in the Tarot, Labradorite will illuminate the path before you and help you see your way through challenges. Lapis lazuli will help you discover your inner truth and strengthen your intuition. This gem brings forth luck, fortune, and a regal sensibility. Lapis lazuli brings confidence, courage, and control so you can be present and articulate as you move through life. When your Crown Chakra is balanced, you have access to deep levels of consciousness, an intimate connection with the Universe and spiritual realms, and a strong connection to Source. To align the Crown Chakra, I recommend using amethyst, auralite 23 and super 7. Amethyst is a purifying and protective stone, known to promote peace and healing and connect you with the higher realms. This stone will open you up to Divine energy, bringing both peace and balance to your world. *Auralite 23 and super 7 are master healers of Crown Chakra gemstones. Auralite 23 enhances psychic abilities including telepathy, clairvoyance, channeling, clairaudience and telekinesis while keeping you grounded and safe. Super 7 is one of the few stones that never needs energizing or cleansing. It brings forth peace, Spirit connection, and Divine wisdom. When your Soul Star Chakra is balanced, you experience unconditional love, hope, and ethereal peace. The Soul Star is our connection to the stars and other dimensions. To align the Soul Star Chakra, I recommend using moldavite, rainbow moonstone, or danburite. Moldavite is an intensely magical extraterrestrial gem that deepens psychic abilities, opens the Third Eye, and facilitates access to the Akashic records. Rainbow moonstone is the prism stone. This stone is used for magic, mirroring your feminine energy, and wisdom. 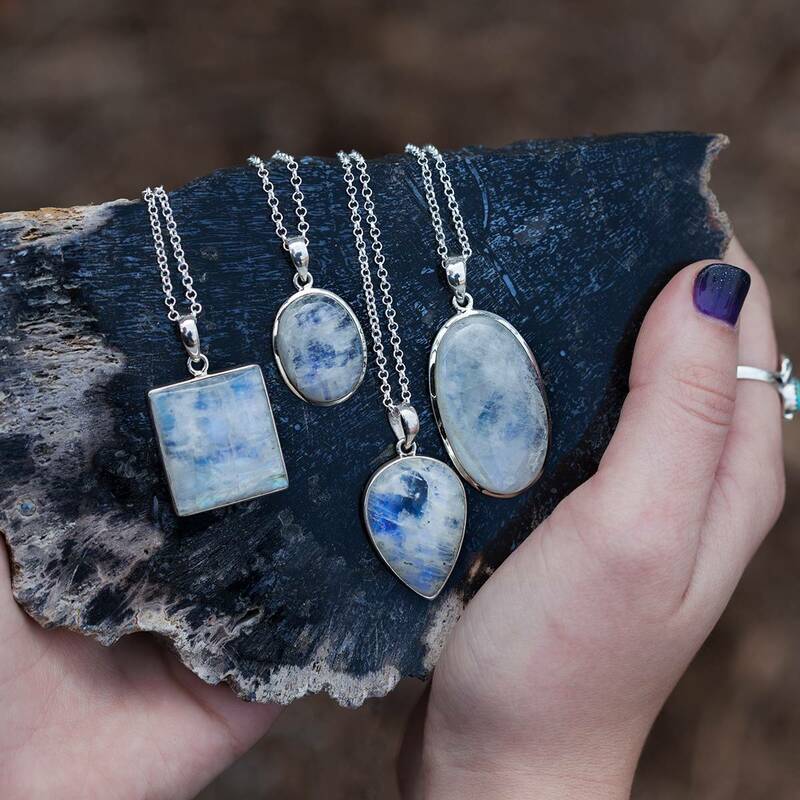 Rainbow Moonstone holds the energy of all seven energetic rays, infusing you with joy, light, and alignment. Danburite is the stone you need to heal the old wounds of the past and allow yourself to integrate the medicine of loss and heartbreak. Danburite is a spontaneous healer and magnifier of positive energy. Ready to raise your vibe? Allow this guide to help you raise and project energies, and open and activate the chakras within you. Awaken those energy centers, so that they shine bright and feed your spirit as you are meant to be fed. Amen, A’ho, So it is. Want to dive deeper into chakra healing? My book, “The Ultimate Guide to Chakras” just launched yesterday! This book is for everyone – from the curious beginner to the experienced healer. Order your copy here to experience maximum spiritual and physical wellness. Do you love gems, crystals, and minerals? 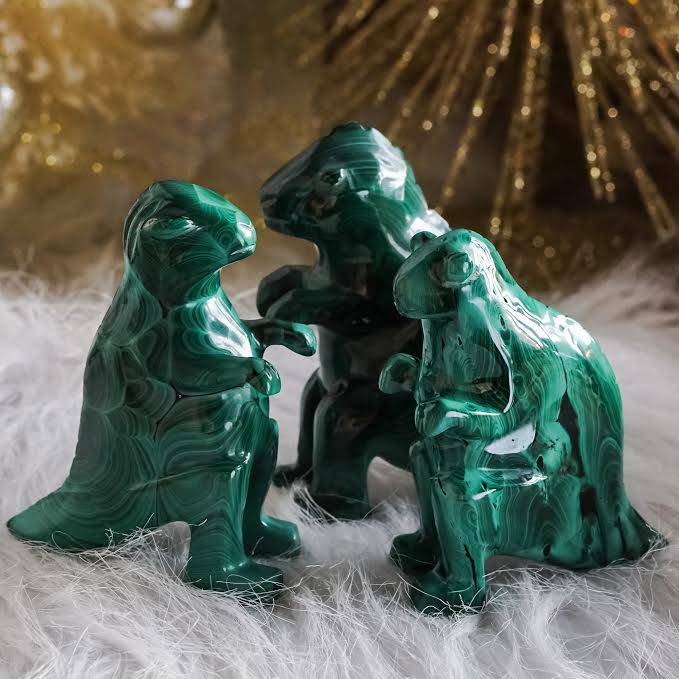 Join my Gem Wise course to learn about new gems every month, including their history, magical properties, and how to use them.